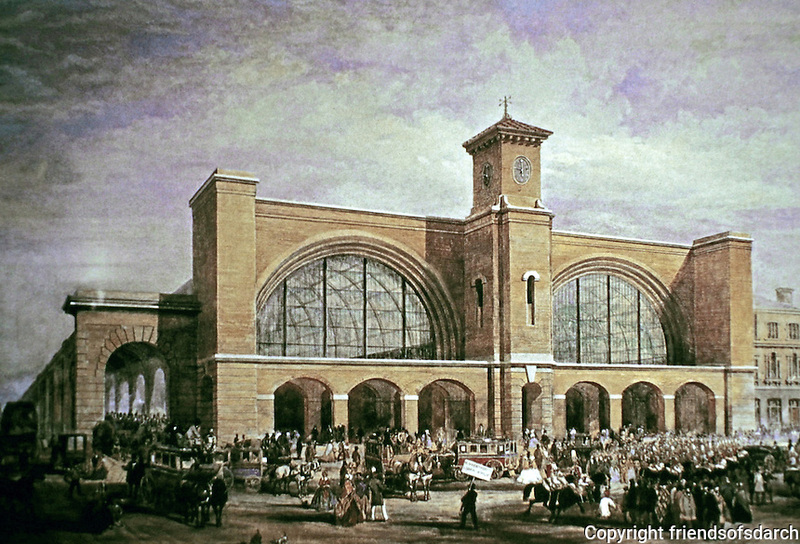 King's Cross Railway Station, London, 1851-52. Detail design by Lewis Cubitt. Main features were arches and a 112 ft. high clock tower.